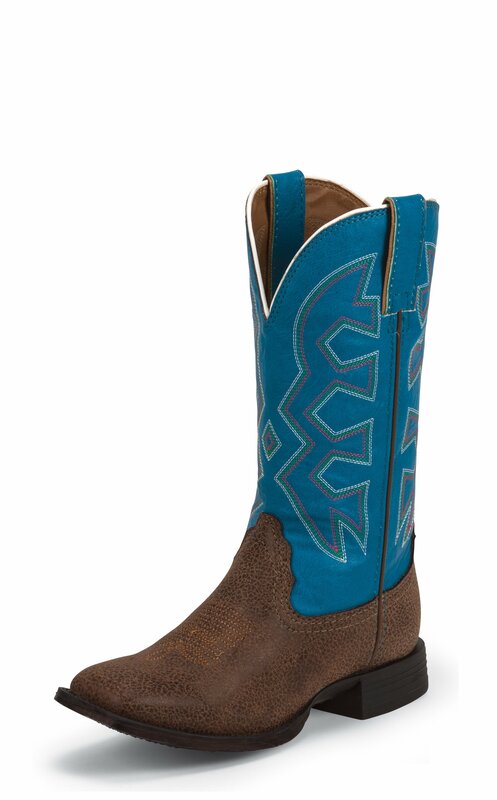 Howdy is a 10-inch tall kids' Let's Rodeo® cowboy boot with a bright blue upper accented by a geometric stitch pattern. The white trim along the collar keeps things playful and the pebble grain golden brown foot allows you to let your kids run around and get a little rowdy. The square toe and unit heel provide a comfortable fit and the cushioned insole guarantees support for even the wildest adventure.